The Okavango Delta is a unique ecosystem of papyrus-lined waterways, knee-deep floodplains, water-lily lagoons, shady forest glades and rich savannah grasslands. All this fecundity lies in the middle of the largest continuous stretch of sand in the world - the Kalahari Desert Basin. Seen from space as an emerald swirl surrounded by a parched landscape, the Okavango Delta is an incredible source of life in a country that is 80% arid. The Okavango region contains the state-run Moremi Game Reserve surrounded by a number of strictly controlled, privately managed wildlife concessions. The game viewing on an Okavango Delta safari in all of these areas is no less than outstanding and activities can either be undertaken on foot, in a game-viewing vehicle or in a mokoro (dug-out canoe) or motorised boat. Such varied opportunities in a beautiful and diverse range of habitats, makes the Okavango the best all-encompassing safari destination in the world. When visiting the Okavango Delta on safari, in order to experience the classic "water & land" wildlife safari, it's important to ensure that camps are carefully selected. The time of year guests decide to visit plays a big part in camp selection. 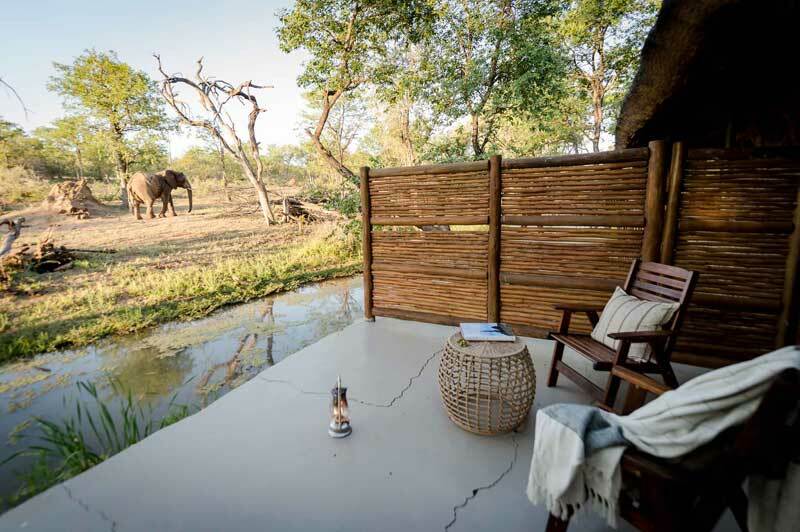 We suggest that guests look to spend three nights minimum in the Okavango Delta and preferably two to three nights in two different camps, and then combine that with two to three nights in the Linyanti Savuti area, or the Chobe National Park. The Okavango Delta is the location of a number of wildlife films and documentaries, as it is such a game-rich and unique environment. Lions and leopards here are accustomed to hunting in water, making for incredible sightings. Mokoro and boating safaris are memorable alternatives to the more typical game drives and walks. 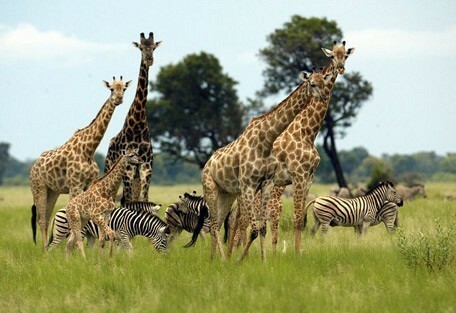 Water dependent animals flock to the well-watered land and make for superb game viewing. 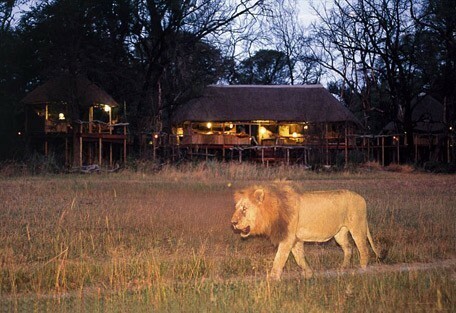 Kwetsani Camp is a luxury safari camp located in the Jao Concession of the Okavango Delta. The camp overlooks a beautiful floodplain. Guests are often treated to wonderful game viewing from the comfort of their decks as wildlife roams freely in front of camp. Jacana Camp is a true water based camp located in the Jao Concession of the Okavango Delta. Guests can visit Jacana at any time of the year and still enjoy a true Okavango Delta experience, located on the river, with a full range of game viewing activities. 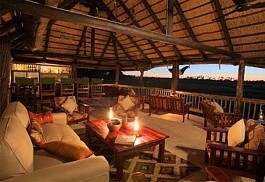 Xigera Camp is located just outside the borders of the Moremi Game Reserve within the Okavango Delta. It is a classic water based camp and a bird lovers paradise. 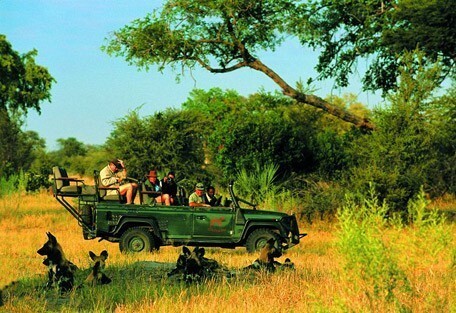 Guests can avail of a full range of safari activities year round. Seba Camp is a family friendly safari camp in the Okavango Delta. 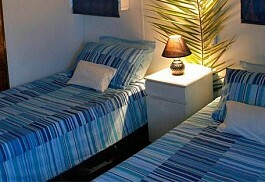 It has dedicated family chalets ideal for families travelling with children. 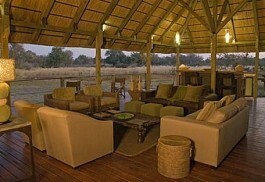 The camp is located in the western part of the Delta and offers the full spectrum of game viewing activities. 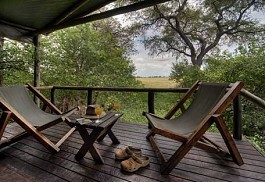 Vumbura Plains is a premier camp located in the north of the Okavango Delta. 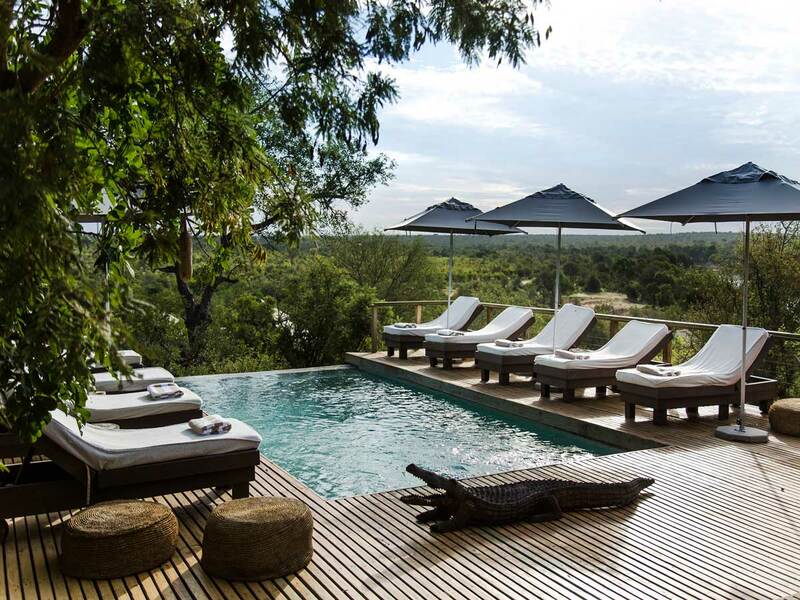 The camp is suited to guests seeking a truly luxurious safari with the camp offering private plunge pools in all suites. Game viewing is excellent year round. 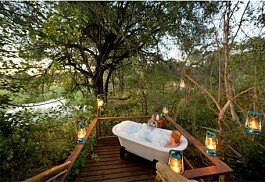 andBeyond Nxabega Camp is a superb camp located south of the Moremi Game Reserve in the Okavango Delta. 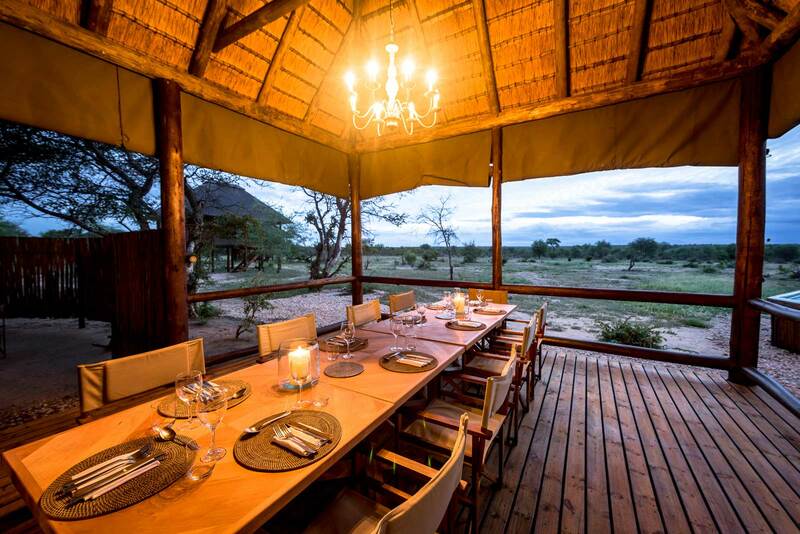 The camp offers luxurious accommodation and superb game viewing experience. 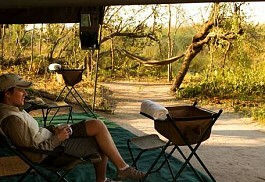 The camp offers an array of game viewing activities. 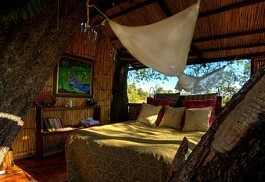 Tubu Tree Camp is located in the western part of the Delta in the excellent Jao Concession. The camp is a small intimate option, and has the best bar in all of the Delta! 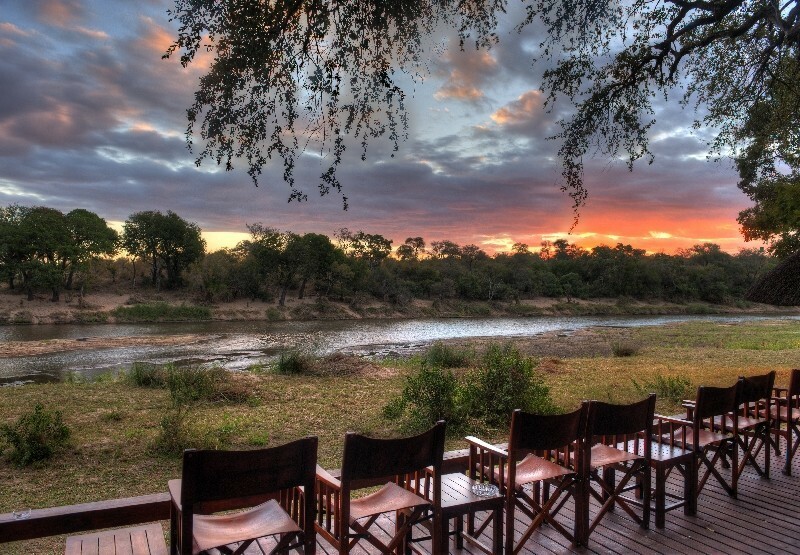 The camp overlooks a floodplain and is renowned for excellent year-round game viewing. 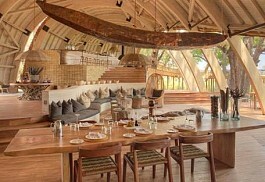 Chitabe Camp is an excellent luxury camp located in the southern part of the Okavango Delta. The camp is in area renowned for some of the best wild dog sightings in Africa. This camp should definately be considered on any itinerary to Botswana. 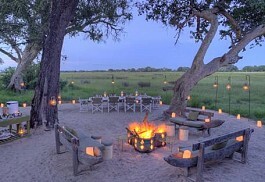 Belmond Eagle Island Camp is a premier camp in the Okavango Delta offering luxury Botswana Safaris. Newly rebuilt and better than ever, Belmond Eagle Island offers excellent birding, mokoro rides as well as sundowner cruises in their boat. 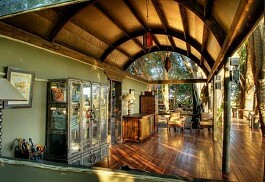 Stanley's Camp offers an all round luxury Okavango Delta experience. The camp is located in an area known for its huge herds of buffalo. 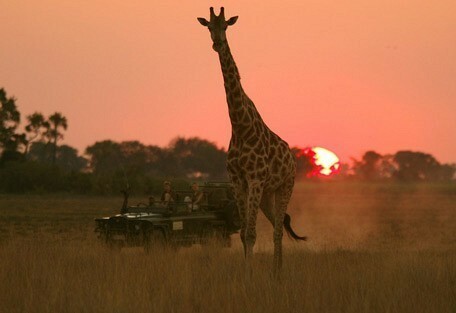 Day and night drives are offered as well as walking safaris. 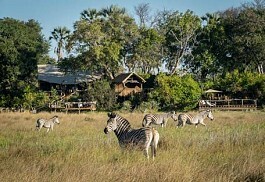 andBeyond Xaranna Tented Camp is a premier safari option in the Okavango Delta. 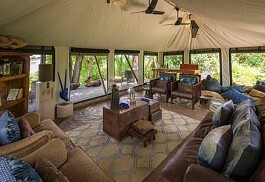 All the suites have private plunge pools and the camp is suitable for guests with a taste for the finer things in life. 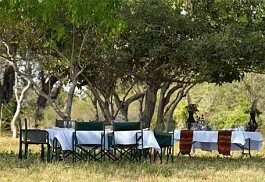 The camp offers all the traditional game viewing activities. 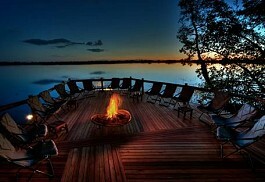 Jao Camp is a luxurious camp located in the Jao Concession. The camps offers a superb combination of premier accommodation and excellent year round safari experience. 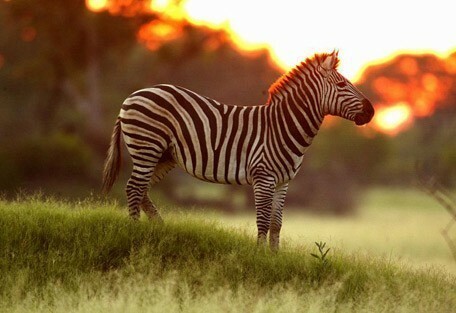 Jao provides guests with the opportunity of going on game drives and boating safaris. 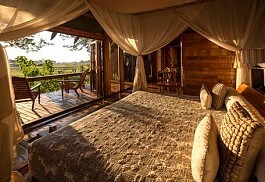 Little Vumbura is one of the Delta's best safari camps. 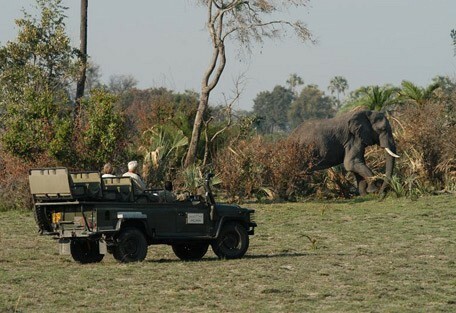 Located in the northern part of the Okavango Delta the camps offers an excellent year round safari experience. Sleeping only 12 guests in six suites, the camp is perfect for guests seeking a small and intimate camp. 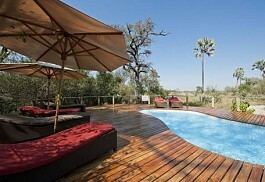 andBeyond Xudum Delta Lodge is a truly luxurious safari lodge located in the southern part of the Okavango Delta. 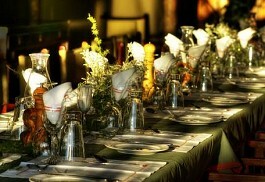 Guests seeking superior service and cuisine should consider Xudum as their safari lodge in Botswana. 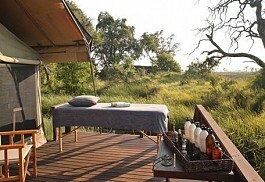 Duba Plains is a remote camp in a pristine area of the Okavango Delta. 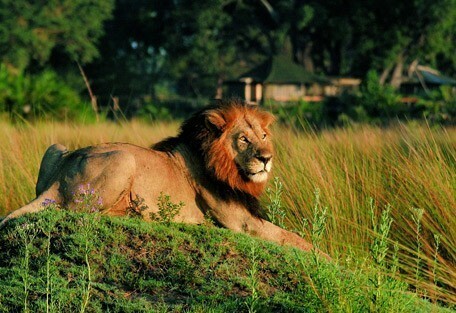 This camp is well known for its lion-buffalo interaction and guests visit primarily for this reason. The camp is community owned. 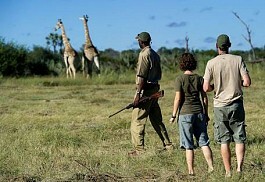 andBeyond Sandibe Safari Lodge is situated close to the Moremi in a game rich area. Sandibe’s prime location between permanent water and the open plains offers guests a wide range of wildlife-related activities and water-based adventures. Abu Camp offers a rare African experience that showcases the magnificent wildlife and landscape of the Okavango Delta; a safari that will transform your perceptions of elephants and the wilderness as you engage with the resident elephant herd on a very special level. Prime positioning in the Okavango Delta, Little Tubu is sure to provide a wild retreat with incredible game viewing and safari pleasure. It offers an accommodation for 6 guests in 3 traditional-style tents, all with en-suite bathroom facilities, and private decks. 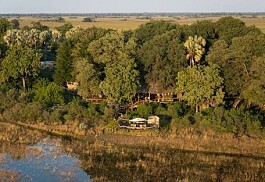 Xugana Island Lodge is one of the oldest safari lodges in the Okavango Delta. The decor pays tribute to its heritage. Xugana Island Lodge offers only bush walks and the water based game viewing activities. 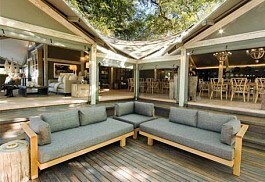 Mapula Lodge is a community based safari lodge located in the far north west of the Okavango Delta. The Okavango lodge offers comfortable rustic accommodation, and is well known for fantastic wild dog sightings. Water levels vary depending on the flood levels. 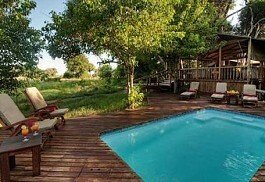 Little Kwara Camp is a small luxurious safari camp located north of the Moremi Game Reserve. The camp offers an excellent all round Okavango Delta safari experience and game viewing at the camps is excellent year round. Pom Pom Camp is an affordable and comfortable safari camp located in the heart of the Okavango Delta. 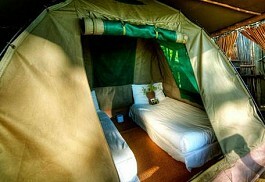 The camp is perfect for experiencing an overall Delta safari. 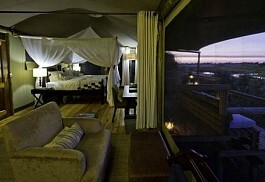 Kwara Camp is a superb camp located in the heart of the Okavango Delta. The camp offers excellent year round game viewing and magnificent birding. Kwara camp offers all the Okavango Delta safari activities. Delta Camp is a superb water based camp located just south of Chiefs Island. The camp is rustic and comfortable and game activities offered are bush walks on Chiefs Island and mokoro activities through the Delta's crystal clear waterways. 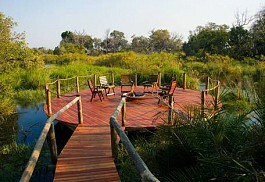 Camp Okavango offers a comfortable and affordable Okavango Delta safari, in a private concession. The camp focuses on walks on the islands and mokoro and boating activities. No game drives are offered. 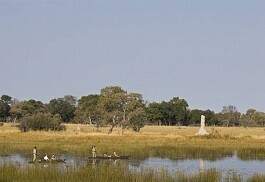 It is a classic Okavango Delta Camp and has superb year round birding opportunities. 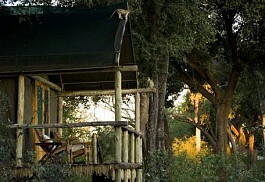 Shinde is a superb camp located in a private concession north of the Moremi Game Reserve. 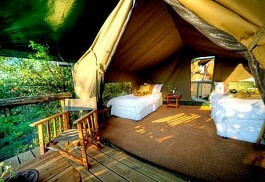 The camp is a great option for an overall water and land Okavango Delta safari. Game viewing is very good all year round. Footsteps Across the Delta is a small camp located close to Shinde Camp. 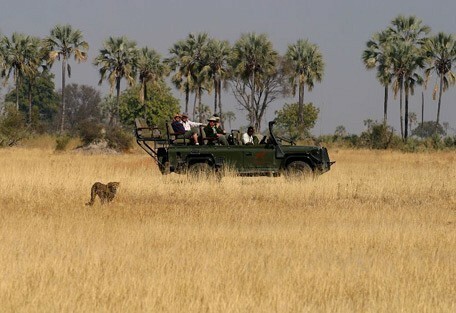 The camp focuses on walking safaris through the Delta, but also offers mokoro rides and game drives. It is a rustic camp suited to guests who prefer a more wilderness experience. The Ngwesi River Houseboat on the Okavango Delta, named after the feisty Tiger fish found in abundance in the Delta, is moored in Shakawe at Drotsky’s Cabins from where it operates. The Ngwesi Houseboat, consists of an upper and lower deck, and is headed by a licensed Skipper and trained staff. Oddballs' Camp is situated on the edge of Chief's Island, deep in the heart of the Okavango Delta, and is the Okavango Delta's most affordable camp. All activities are led by men from the local communities. Oddballs' Enclave is situated on the edge of Chief's Island, deep in the heart of the Okavango Delta. The camp is accessible by light aircraft only. The activities at Oddballs’ Enclave usually consist of mokoro and walking safaris. Moremi Crossing is situated on a palm fringed island surrounded by the Moremi 's game rich seasonal floodplains and overlooking Chief 's Island in the Okavango Delta. Light and airy tents are set under a canopy of trees on the water's edge. Overlooking the legendary Chiefs Island and bordering the Moremi Game Reserve, Gunn's Camp is one of the last few remaining, luxury, vintage safari camps. Set under leafy palms and African Ebony to blend naturally with its unique surroundings. 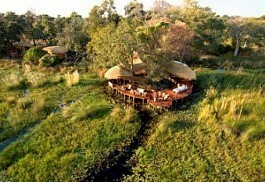 Kana Kara Camp is an ideal, intimate, tented accommodation in Botswana’s pristine Okavango Delta. The camp is situated in the northern region of the Delta with the safari area straddling the area between the Selinda spillway and the Vumbura River. Pelo Camp is situated in the Jao Concession on the Moremi Game Reserve of Botswana and comprises of five ec-friendly tents, offering beautiful views of the area. 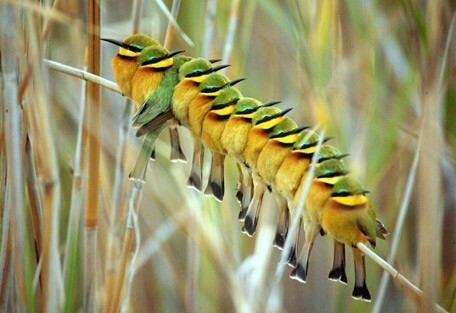 The camp is ideal for bird enthusiasts. Afrika Ecco Mobile Safaris takes its adventurous guests deep into some of the most exceptional areas of Botswana, demonstrating the diversity of landscapes and watching animals at their most primal. Xobega Island Camp is a simple, eco-friendly tented safari camp on an island in the Okavango Delta, just off the Moremi mainland. This is an adventurer’s dream with plenty of birdwatching to get done. Mopiri Camp is a classic tented camp positioned on an island near the base of the Okavango Panhandle and is the ideal base from which to explore the northwestern waterways of the Delta with fishing, birding, and fly-camp trips. Setari Camp is built on a tiny island in the heart of the Okavango Delta in the central waterway near the base of the panhandle. 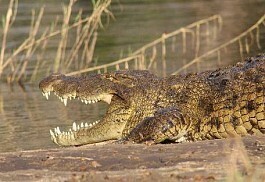 It receives year round water and offers water-based and on-foot safari excursions in a pristine part of Botswana. 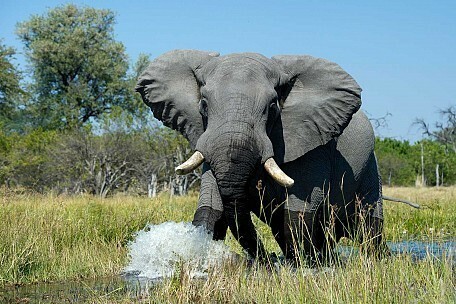 As the Moremi Game Reserve contains large areas of premanent water, game viewing during the dry season is particularly good as animals are drawn to the permanent water sources. There are no fences between Moremi and the private reserves, so the entire Okavango merges into a unified animal kingdom of grand proportions. Each area has its own particular habitats, resident herds and familiar predators. Night drives in the private reserves often reveal secretive animals like porcupine, pangolin, aardwolf and genet. The wet or rainy season in the Delta is from November to March. It is a very warm time of year and the water levels can make some roads inaccessible. The advantage of this time of year is that most of the animals give birth, providing a wonderful game watching experience. The landscape is lush and green and there is an abundance of wild flowers and birds. From April to October, the Delta experiences the dry season. Winter occurs mid-year in June, July and August, bringing cold temperatures that drop to 5 degrees Celcius. The very hot period arrives in October, just before the rains, when temperatures reach over 40 degrees Celcius. The drier it becomes the easier it is to spot animals close to permanent water holes. During the dry season, most of the Okavango dries out, apart from permanent rivers in Moremi Game Reserve and the northern reaches of the Okavango. In the Okavango Delta, we choose the camps carefully based on which time of year our guests are visiting, as the rains in some areas can be quite destructive. Xugana Island Lodge, Delta Camp and Banoka Bush Camp are well priced comfortable camps. 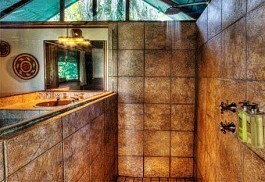 They are all located in private concessions so ensure a true wilderness safari experience. Jacana Camp, Little Vumbura and Chitabe Camp are more luxurious, and each offers a unique perspective of the Okavango Delta. Duba Plains is one of the most remote camps in Botswana and guests stand a very good chance of witnessing the lion-buffalo interaction that the camp is famous for. For the more discerning guests, look no further than Jao Camp, Vumbura Plains or Little Kwara. 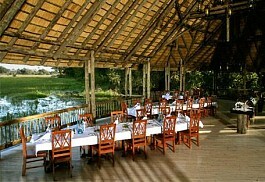 Each offers guests a very luxurious Okavango Delta safari. 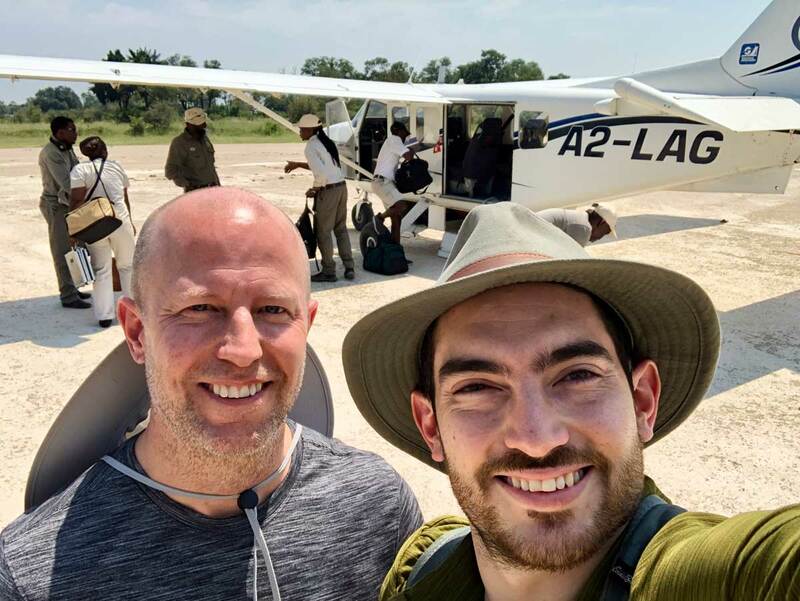 Most Botswana safari tours begin with a flight to Maun, the safari capital of the country. 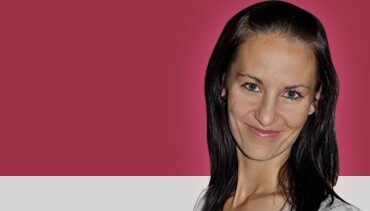 Sun Safaris will arrange guests' flights from South Africa to Maun. From Maun airport, Sun Safaris will arrange road transfers or light air transfers for their guests to their safari destinations. Some of the more remote areas, or the lodges located on islands will require fly-in transfers, while nearby camps can be accessed by car. More often than not, the road transfers will take routes through reserves and wildlife areas, giving guests the opportunity to become accustomed to the beautiful surroundings and chance spotting some game enroute.